“You damn dirty apes, where the hell are you? I can hear your barks, now show yourselves!” I shouted in the middle of the Rincon de la Vieja National Park. When you look at the travel brochures and books for Costa Rica you always see photos of cute monkeys. Okay, so we came to Costa Rica, now where are these promised monkeys? I have only seen monkeys in zoos, and that one sad monkey locked in a cage in the jungle outside Puerto Vallarta, but I wanted to see a real live wild monkey… in the wild! Is that too much to ask? We were tipped off that a great place to go visit was the Rincon de la Vieja National Park just outside the northwestern town of Liberia. It offered a nice day hike with steaming vents, boiling mud pots, and monkeys. Did somebody say monkeys? So, we came, we hiked, we saw waterfalls, boiling water, steaming vents, farting mud, German tourists, leaf cutter ants, and heard the bark of howler monkeys as they avoided us. The hike was amazing, but we never did see the howler or white faced monkeys that live there. So, enjoy our photos of the Rincon de la Vieja National park, even if they don’t include monkeys. 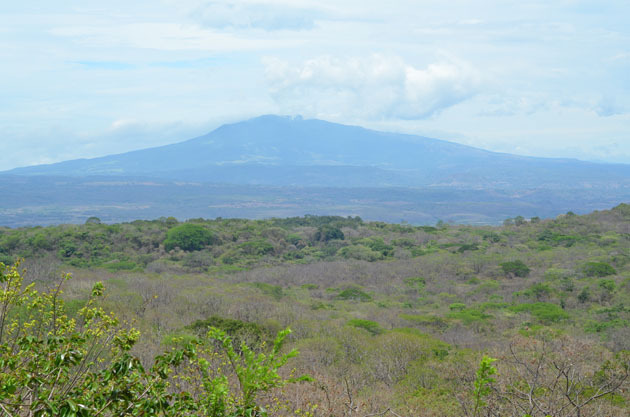 If you find yourself in the far northwest corner of Costa Rica in the Guanacaste Province and need something to do, as we did, the guide books will tell you to go check out Santa Rosa National Park. So, we did. Costa Rica does not currently have a military, but they have battled invading armies. 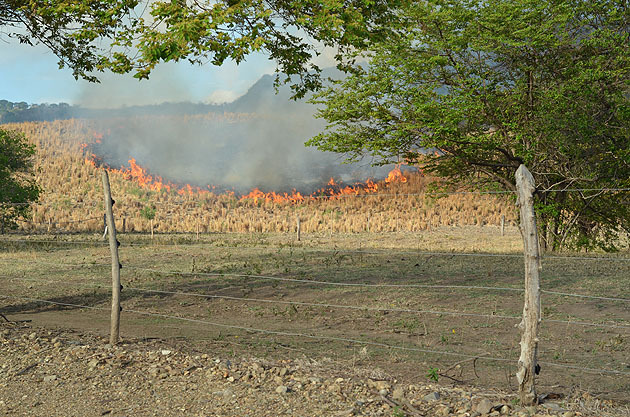 And each time they met the invaders, it happened at the location of the Santa Rosa National Park. 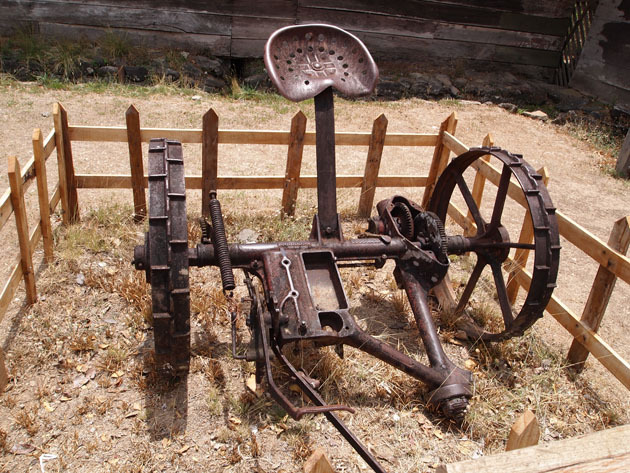 The first time was in 1856 when an ambitious American, William Walker, decided to establish an English speaking colony in Central America and invaded at this very spot. The local militia battled William Walker and after a whopping 14 minutes of hard battle, won. The other two battles came in 1919 and 1955 when Nicaraguan invaders attempted to oust the current leaders at that time and were also defeated. Good times! We drove up to the entrance to the Santa Rosa National Park behind two guys on a small dual sport motorcycle carrying a surfboard. I got out and asked them if the surfing was good here, and they said it was really good. Just to the north of Santa Rosa is an infamous spot, Ollie’s Point. Ollie’s Point was named after and made infamous by the US Military General Oliver North who used that spot to smuggle weapons into Nicaragua in the 1980’s. It was made famous by the surfing documentary Endless Summer II and is a popular destination for surfers from all over the world. I would have loved to check out Ollie’s Point, but it is only accessible by boat. After paying our entrance fee and getting a map of the park, which is rather large and spread out, we made our way into the tropical dry forest of Santa Rosa. 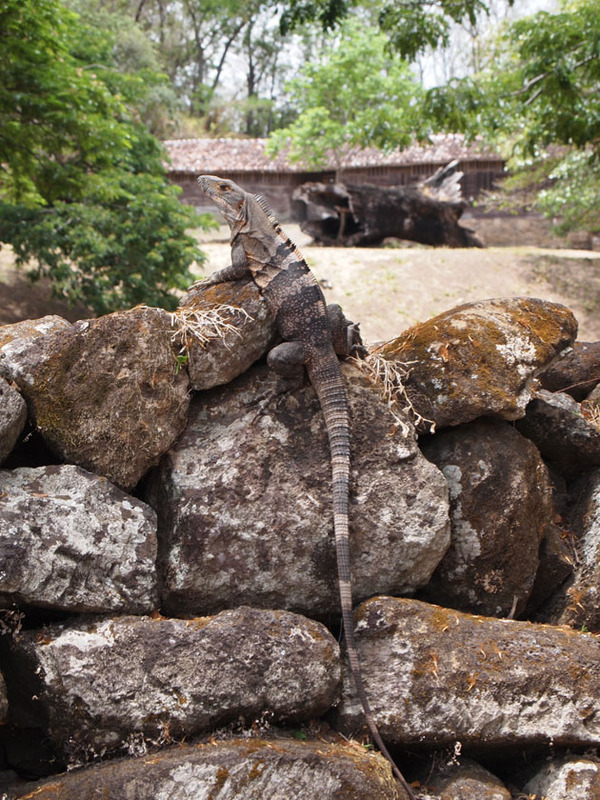 After viewing the war memorial, the hacienda, and photographing numerous iguanas we decided to be a bit more adventurous and head down an 8-mile long rugged dirt road to Naranjo Beach. The guidebook warned against it, but what do guidebooks know! We had a compact 4-wheel drive rental car; we could go anywhere. The road started out not too bad, but soon became very bumpy with large rocks threatening to rip off some important car part from the underside. The further we went the rougher the road became and we soon realized that this would be a very bad area to have a breakdown. It was the dry season and it was rough, but there is no way this road would be passable during the rainy season unless you had some giant off-road Tonka truck with massive knobby tires and a snorkel. After a few bumpy miles we came upon a group of teenage students walking down the road carrying 2-liters of Coke and other soft drinks. Not the best choice for staying hydrated, but at least they had something. We couldn’t believe that they were actually walking all 8-miles in the 100 degree heat. The students were well spaced apart along the road and we waved as we slowly passed each one checking to make sure that none of them were on the verge of heatstroke and needed a ride out. But they just smiled and waved back. And then we came upon 3 guys that stuck there thumbs out hoping to hitch a ride. We stopped and they opened the back door and squeezed in next to Sydney’s full size booster seat. Sydney thought it was the funniest thing to have 3 teenage boys piled in the backseat with her. They spoke no English, but we could tell that they were happy to be out of the heat and would not have to walk the last mile or two, even if that meant sitting on each other’s laps. We continued down the road passing other students as the boys in the backseat smiled and waved to them in a teasing way. The road soon became so bad that I was worried that with all of the extra weight in the car we would rip off the oil pan or exhaust if we hit a rock just right. The suspension was bottomed out so I carefully and slowly drove around each rock sticking up and crater in the road cringing each time we bottomed out and praying it was not something critical. We eventually reached the parking area for Naranjo Beach found a number of other students and a teacher waiting for the rest of the group to arrive. They were shocked to see the 3 boys climb out of our car. The heat was oppressive! They allowed camping at Naranjo Beach, but I could not imagine camping there in that heat. We walked down the short trail to the beach and were impressed with its beauty. 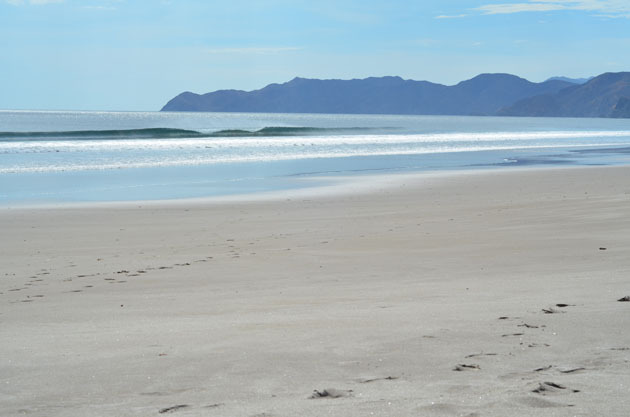 A perfect beach break with not a single other person in sight. 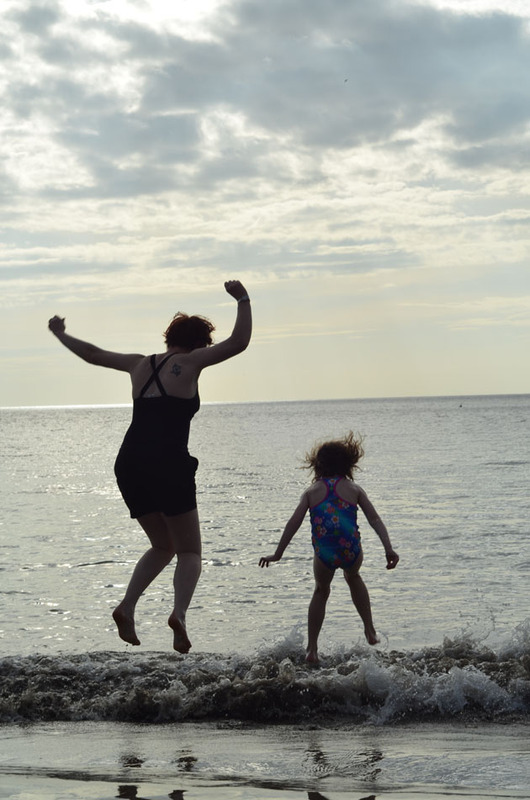 We quickly walked over the searing hot sand to the water expecting to find relief in the cool waters of the Pacific Ocean. Instead, we found warm bath water. We thoroughly enjoyed our day at Santa Rosa. 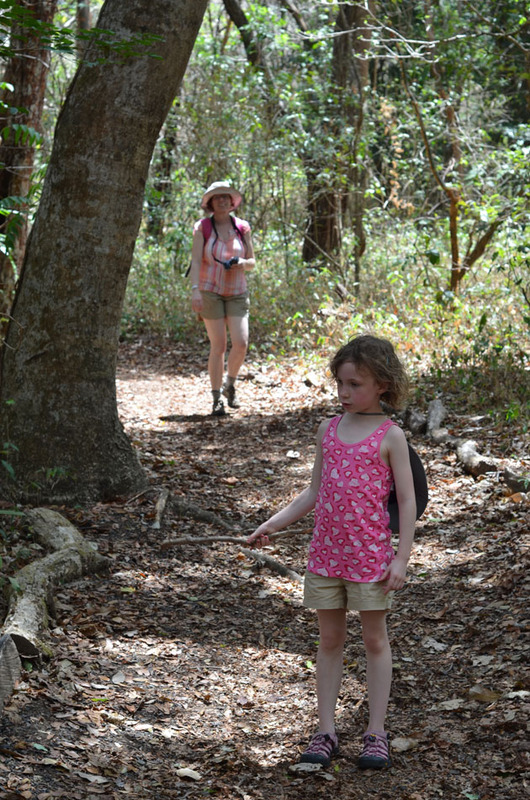 We were hoping to see lots of the wildlife that is found in tropical dry forests, but all we saw were iguanas and a couple of deer. 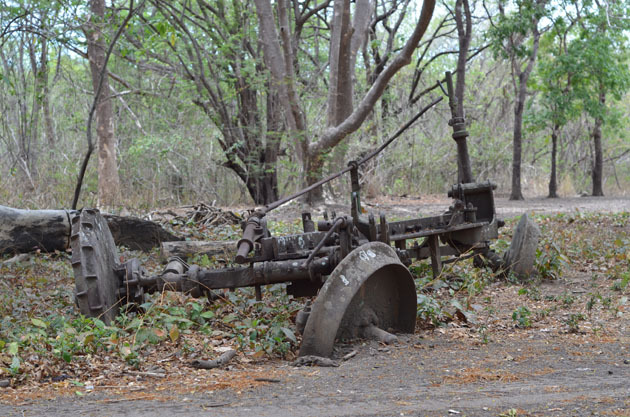 But even without the wildlife the park offered a lot in Costa Rica’s history and its natural beauty. 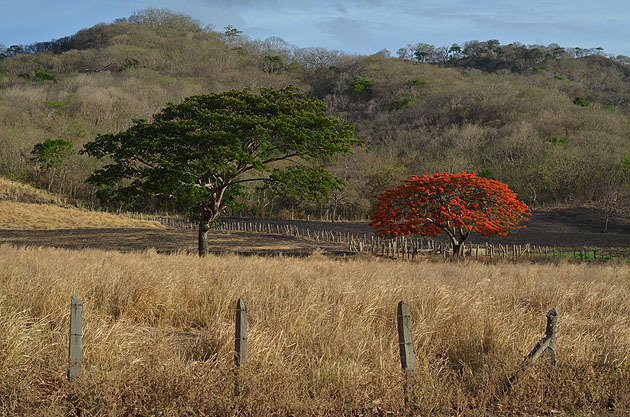 So, if you find yourself in Costa Rica’s Guanacaste Province, don’t forget to visit Santa Rosa National Park. 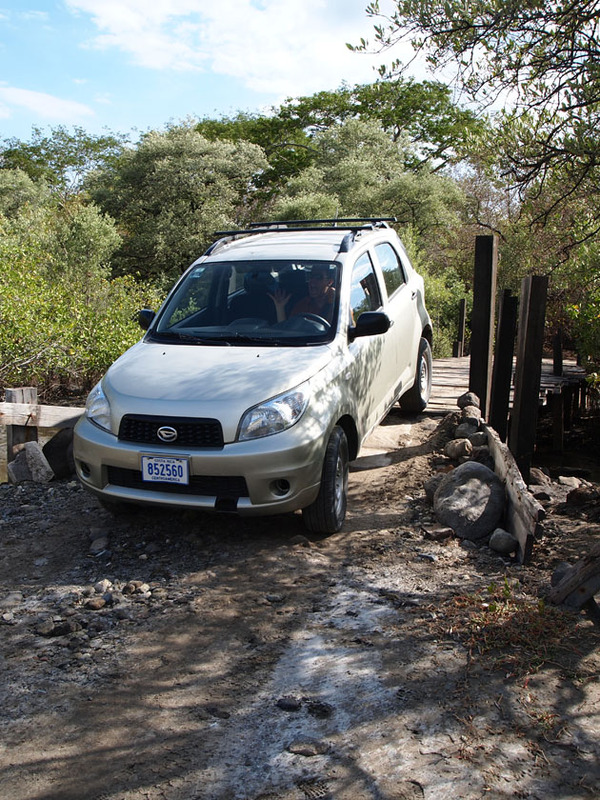 And unless it’s the rainy season ignore the guidebook warnings about the road to Naranjo Beach; it’s only a rental. 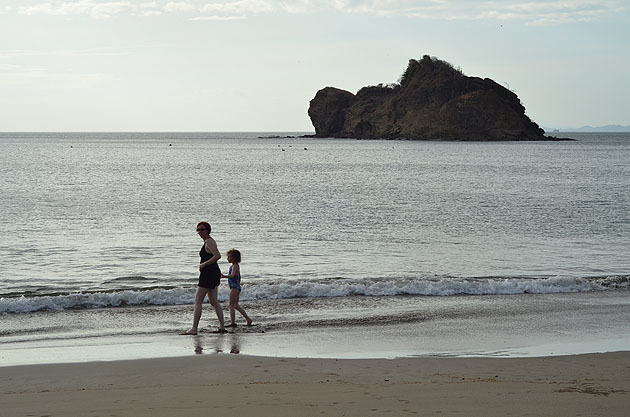 In the far northwest corner of Costa Rica in the Guanacaste region is Bahia Salinas (Salinas Bay.) The bay is renowned for being Costa Rica’s second best windsurfing location (Lake Arenal takes first place) and quite possibly the best location for kiteboarding. For an area with such popular sports one would think that there would be plenty of resorts, accommodations, and beach bars. But nothing could be further from the truth. 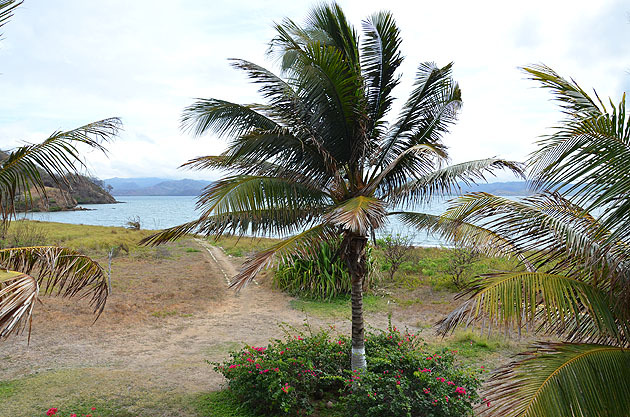 When we first booked a 7-night stay at the Ecoplaya Beach Resort we knew that the resort was located 13 kilometers down a bumpy gravel road from the nearest town, La Cruz. But the resort was located right on a sandy beach on Salinas Bay and we figured a relaxing stay in an isolated place would be great. But right before leaving for our trip we started reading reviews that said to avoid the resort at all costs claiming that it was run down, dirty, had insect problems, and had nothing to do there. We started getting a bit concerned, but trying to keep an open mind we figured we would make the best of it, no matter how it turned out. 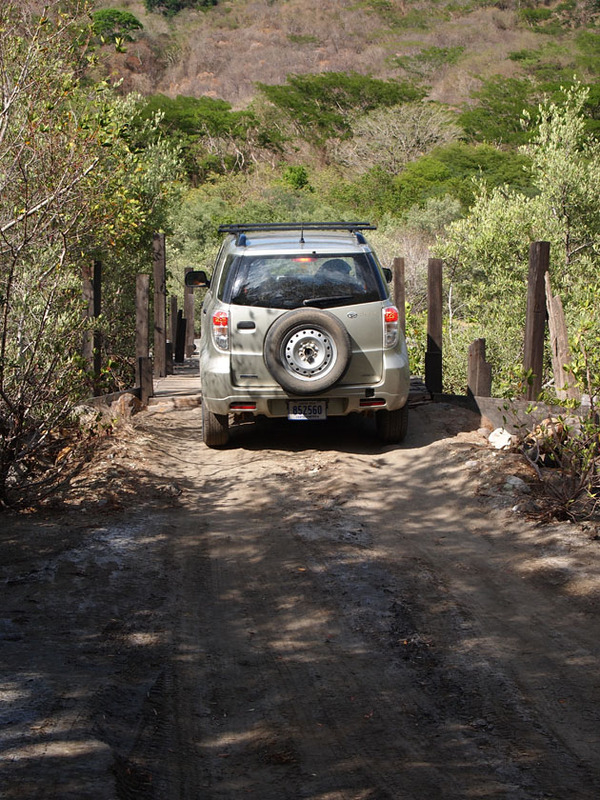 We were relieved to find the 13 km road that heads out to Ecoplaya a bit smoother than many of the other unpaved roads we had experienced in Costa Rica. I think a lot of the reviewers that claimed the “road was the worst they had ever seen” had obviously NOT been to Monteverde. We quickly made our way towards the resort with our GPS navigation unit leading the way, which luckily matched the occasional sign here and there pointing to “Ecoplaya.” As we drove onto the long bumpy driveway and past the unmanned guard shack(?) we arrived at the Ecoplaya Beach Resort, our home for the next 7 nights. It was eerily quiet and we saw no other guests or cars, which is kind of strange for an RCI resort. We checked in and were given a room on the ground floor that opened out towards the swimming pool. We prefer to be on the second floor when traveling due to security reasons, and you usually get a better view. We asked if we could switch to another room and they happily gave us one on the second floor overlooking the bay. Nice upgrade! We parked our car in the empty parking lot and made our way up to our hotel room. Our first impression of seeing the one bedroom unit was that it seemed large, yet dingy, and not very impressive. In fact, they should really fire their interior decorator! The painted walls were an ugly blue color, all of the lighting was fluorescent (yuck! ), and the whole place lacked the warmth that you usually find in nice hotels. I think the fluorescent lighting added a lot to the dingy look of the room. It was then that we noticed that all of the furniture was made out of solid teak wood. These furnishings were beautifully crafted and would have cost a small fortune in the United States. With some new paint, better lighting, wall decorations, and a few fake silk plants, the place would have looked fantastic. It had great potential and you could see the original dream of the resort designers, but what had happened to make it how it was now? They really needed to buy a book on feng shui. After we unpacked we walked down the short trail to the beach. The water was murky and we had been warned not to swim there due to stingrays, but we had the beach all to ourselves and the weather was fantastic. 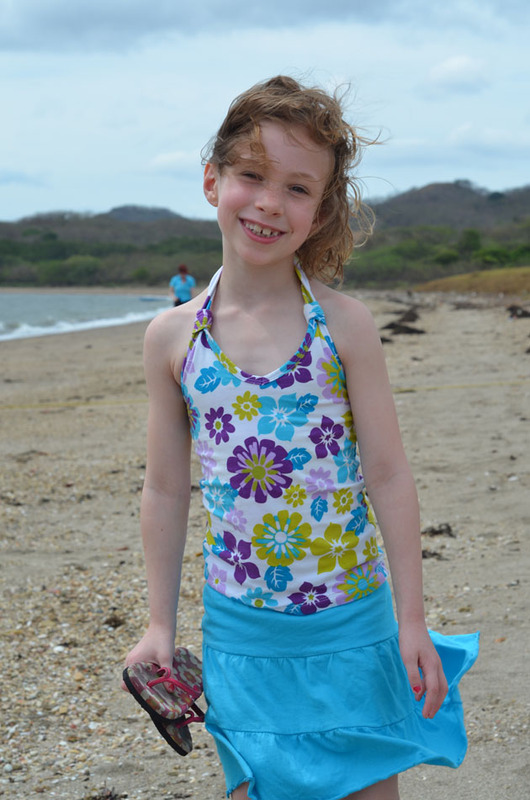 After the cold and rainy weather we experienced in Monteverde, we needed some warm sunny days. That evening we went down to the one and only restaurant for dinner. We were the only guests there and the wait staff quickly jumped up from watching the television and brought us menus. The food was the typical Costa Rican fair, chicken and rice, but it was nice to find the prices reasonable. We had decided to not get the all-inclusive option, since we had a full kitchen in our hotel room. We had been to other resorts that would actually punish the guest for not getting the all-inclusive by jacking up the menu prices so high that you would almost consider starving to death before paying their insane prices, so it was nice to see that they were fair. 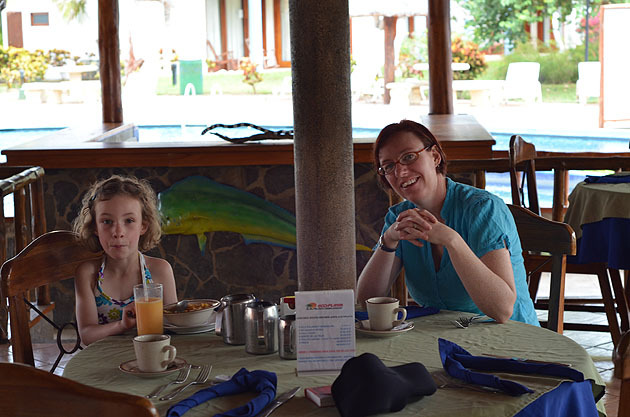 The food was about as good as any other place we had eaten at in Costa Rica. I don’t think Costa Rica is world renown for their cuisine, but it is hardy and filling and seems to be pretty consistent throughout the country. And with a little of Costa Rica’s famous Lizano sauce added, it made it even better. It was just really weird being the only ones there. With no other guests in sight, we felt like we were in some sort of twisted horror movie. Invited out to a resort in the middle of nowhere with no other guests… hmmm, where was the mad scientist lurking? Maybe this was a cult of cannibals that liked “American food” and we were going to end up as the main course. Wait, was that really chicken we just ate? This was definitely the strangest resort we had ever been to. But I must say the employee to guest ratio was excellent! The next morning I woke up and went out onto the balcony to enjoy the warm humid breeze blowing in from the bay. I looked down and noticed something you usually don’t find at most resorts. Holy cow Batman, it’s a cow! 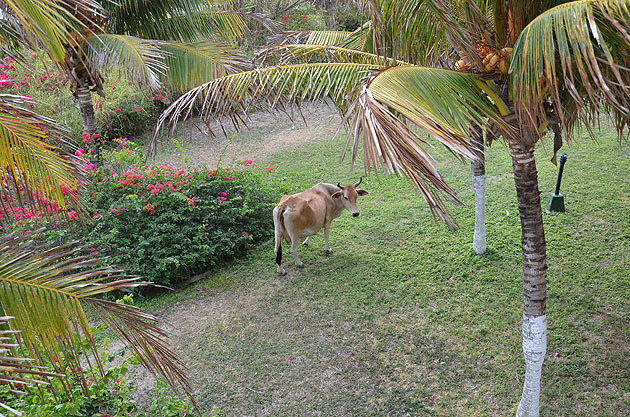 Right below our balcony was a cow strolling through the grounds. She looked up at me in the same curious sort of way that I looked at her and then I grabbed my camera. I called my daughter Sydney out to the balcony to see the strange resort creature and she promptly named her Clarabelle. Maybe with not enough people coming to the resort they decided to open it up a resort catering to people and cows. What an interesting business model. Since we had not gone grocery shopping, yet, we went down for breakfast to the one and only restaurant and noticed something amazing. Other people! Yes, there were three other guests sitting down eating breakfast. We waved in our excitement at seeing other people and they just looked at us kind of strange and waved back. Maybe they had not realized that they were going to end up as the appetizers for the resort cannibal’s big feast. In any case, it was good to know that we were not the only victims, I mean guests. After breakfast we attended the typical resort welcome orientation where they discuss the different activities and often try to sell you a timeshare, blah, blah, blah. 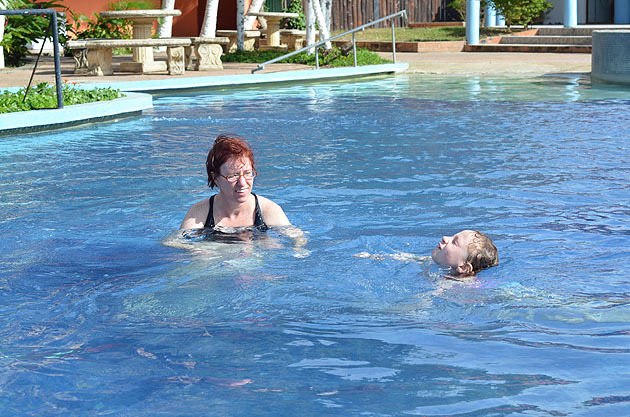 If you have stayed in a resort you will know exactly what I am talking about. We usually skip these, but we thought we might be social and attend this one in the hopes of meeting other guests, and especially other guests with children that our daughter Sydney could play with. We were surprised to find four other guests there in addition to the three that we saw at the restaurant, and unfortunately none with children. But that brought the total number of guests to 10, including us. We have stayed in bed and breakfasts with more guests than that. How does this resort stay open with so few guests? Selling the guests to cannibals was the only answer we could come up with. 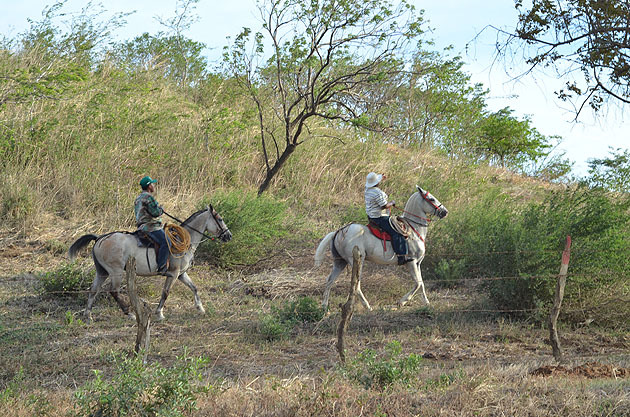 The one big activity that we were planning on doing was taking a day trip to nearby Nicaragua, which also happened to be one of the tours they offered. We had planned to drive our rental car to the border and pay to park it on the Costa Rica side, as you cannot cross the border in a rental car, and then take a taxi north to Granada. It sounded like a good plan, but after doing some research we decided to go with the tour group instead. The shame! 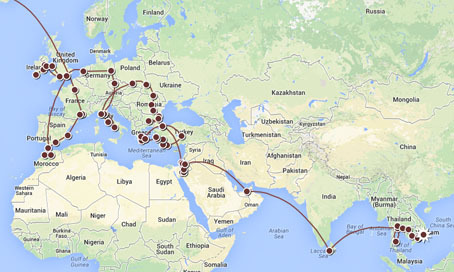 We usually stick to independent travel, but I will explain why this was a better option in a later blog post. We finished the orientation without even being asked to buy a timeshare there, which was odd for an RCI resort, but good nonetheless. 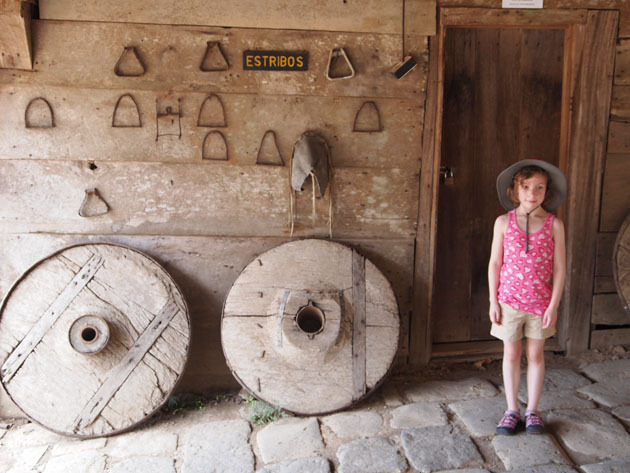 After our very exciting morning we made our way to the happening town of La Cruz to do our grocery shopping. Among the list of items was cinnamon to keep the ants away. If you ever have a problem with ants coming in from under the door, just sprinkle cinnamon across the threshold and it will keep them from entering. This worked amazingly well the whole week we were there. We had to keep reapplying it daily, as the maid would mop it up. She must have thought we were into voodoo or something, but whatever, it kept the ants away. We survived the rest of the week uneaten by cannibals and actually had a pretty nice stay there. While the beach in front of the hotel was not the nicest, there are a couple of nice beaches just a 10-minute drive down the road. The hotel staff were very friendly, especially Humberto, and the maids and maintenance people stayed busy cleaning and maintaining the resort. With all that hard work keeping the resort running and maintained, it just seemed sad that there were hardly any guests staying there. Some of the recent negative online reviews most likely have not helped, but the owners of the resort should really step up and give this place life. Hiring an interior decorator to make the place look better, an exterminator to apply a natural ant deterrent, a resort activities director to host activities at the resort (the tours are good, but there is nothing to do at the hotel), and a marketing firm to get the word out could really bring this place back from near extinction. And, get some decent photos up on your website! The photos make the place look worse than it is. Are they trying to keep the people away? The resort could easily become a world-class windsurfing and kiteboarding destination if they actually offered equipment rentals and instructors at the resort. The place has a lot going for it, but it is on the decline and it seemed like nobody cared. While we have no financial gain from talking about this place, I would hate to see this place go under and the nice employees we met lose their jobs. 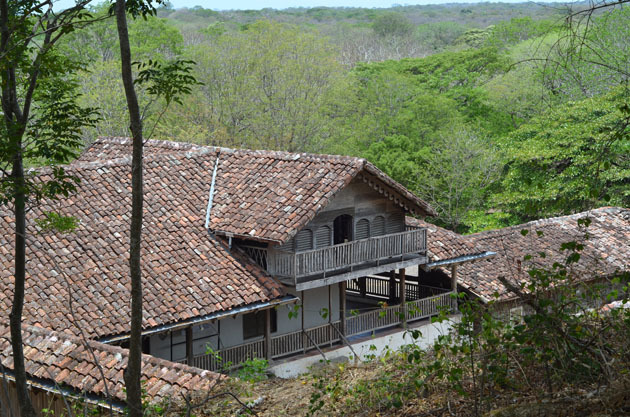 If you are looking for a very quiet place to stay in northwestern Costa Rica, you might want to consider staying here. Just bring a bottle of cinnamon. If you are one of the owners of the Ecoplaya Beach Resort and you are reading this, please save this resort from going anymore downhill. It has a lot of potential and it would be nice to go back someday.